FRAMINGHAM: With more electric vehicles on the road, the owners of Shoppers World are retooling their property to accommodate those drivers. 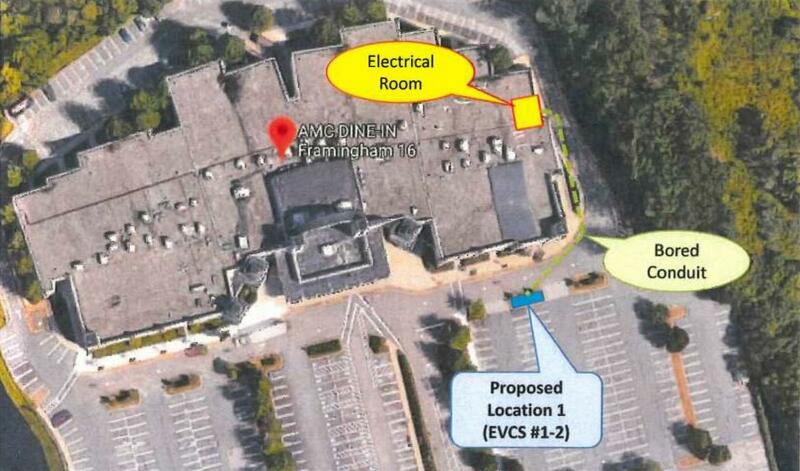 The Planning Board approved an application Wednesday to add six electric vehicle charging stations to the Shoppers World parking lot. 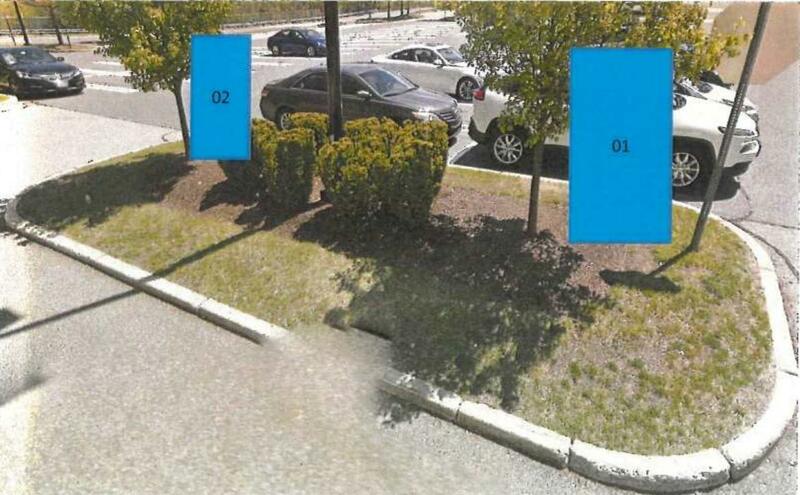 Two more are planned outside the nearby AMC movie theater, pending a review by the city’s Building Department. 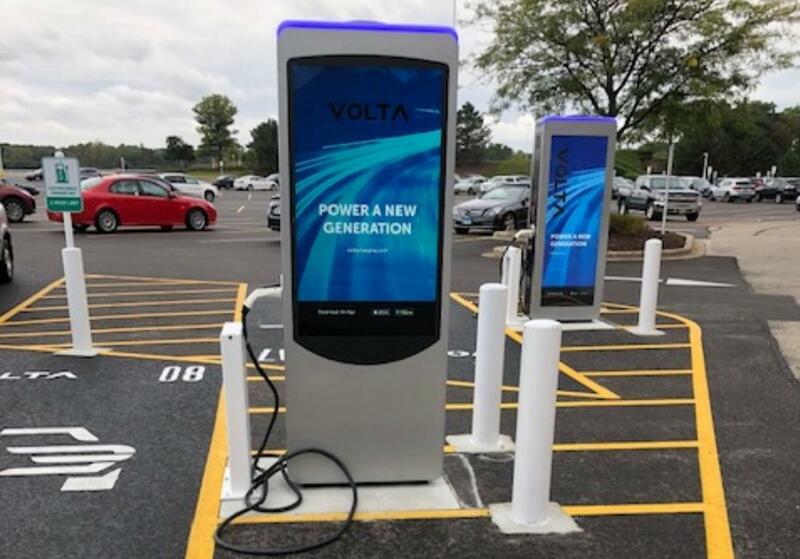 Shoppers World owner SITE Centers Corp., formerly known as DDR, partnered with a company called Volta to install the charging stations, which will operate free of charge. The service will be subsidized by revenue from advertisements displayed on each of the charging stations, which feature large LED displays. 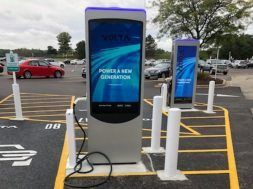 The stations will be similar to five models already installed at the Natick Mall, where demand for electric vehicle chargers has quickly grown, said Katherine Garrahan, a lawyer representing the applicants. Because the chargers will display ads, SITE Centers Corp. was required to get approval for the project from the Planning Board, which controls signage within Shoppers World. 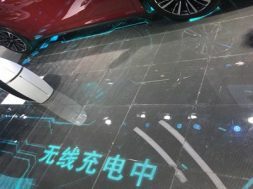 “The project is an emerging use not contemplated at the time we last revised the Shoppers World signage regulations back in 2016,” Garrahan said, discussing the rapid rise of electric vehicles. The property already hosts a Tesla “supercharger” station with 12 outlets, available only for products manufactured by the electric car maker. 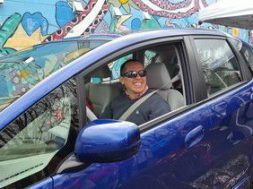 Other stations are available nearby off the Massachusetts Turnpike in Framingham and Natick; at the MassPort facility at 11 Burr St. extension in Framingham; at 100 Crossing Blvd. in the 9/90 Corporate Center; outside Saxonville Mills; and on Pond Street in Natick Center. The new chargers at Shoppers World will be connected via underground power cables and laid out within portions of the parking lot that won’t obstruct the view of oncoming cars. Parking spots beside the charging stations won’t be restricted for electrical vehicles. Electronic screens within the charging stations are about 6-feet tall on one side, and about 4-feet high on the other. The taller side will display a static image with the Volta logo, while the other will cycle through a series of advertisements. City officials say Framingham’s sign bylaw may need to be revised in the future to specifically address similar displays. The Planning Board voted 4-1 to modify its sign regulations for Shoppers World to allow advertising on the new charging stations. 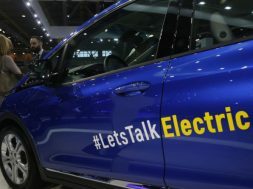 Member Shannon Fitzpatrick, the sole dissenting voice, said she agrees electric vehicles are the way of the future, but fears the steady creep of outdoor advertising.